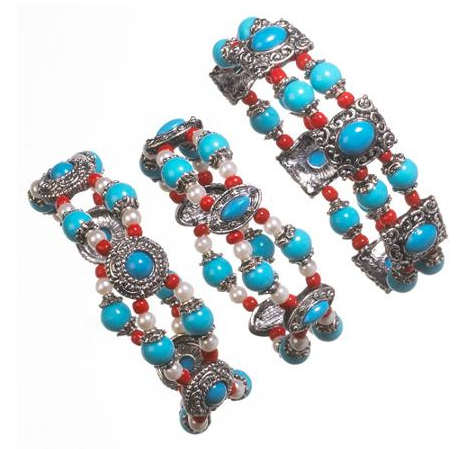 Imitation Turquoise Stretch Bracelets Just $9.95! Down From $24.00! You are here: Home / Great Deals / Imitation Turquoise Stretch Bracelets Just $9.95! Down From $24.00! Right now you can get these Imitation Turquoise Stretch Bracelets for just $9.95 (Reg. $24.00) at Walmart! Spice up your wardrobe with these imitation turquoise stretch bracelets. They make a stylish addition to any outfit.